From the beginning of first Moodle versions, developers have the basis frontend-framework YUI (Yahoo User Interface), but it was not so good solution for third-party developers because of low popularity/community and complexity hardly use the one, so they didn’t use YUI at own Moodle plugins and themes development and uses jQuery. Fortunately or not, at August 28, 2014 YUI development team announced about stopping project support. In a few days was immediately opened Moodle forum discussion about the future of the frontend system without YUI, but clear results are unclear so far (proposed options React, AngularJS, MooTools etc). 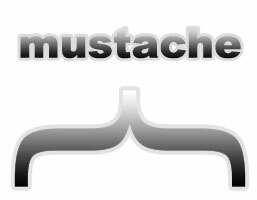 While the spring Moodle upgrade to version 2.9, jQuery has been finally and fully integrated «at the core» via require.js, also there was implemented support about Mustache template engine. But all in order. What if i want to make a module for question/type/mytype ?